Melissa and Antonio (AJ) crossed paths almost every day in the Adoration chapel on their college campus, though AJ was discerning the priesthood at the time. Around the time he realized he never wanted to spend a day without seeing or talking to Melissa and his spiritual directors encouraged him to pursue dating, Melissa prayed a novena to St. Therese of Lisieux. One day in November, the last day of the novena, Melissa was sorting donations at the pregnancy center she volunteered atbwhen she spotted a baby bottle with a sticker of a rose on it. Therese promised to spend her eternity in heaven showering roses upon the earth, and a rose is commonly understood as a sign from her among those seeking her intercession. Later that day, AJ asked Melissa to be his girlfriend. 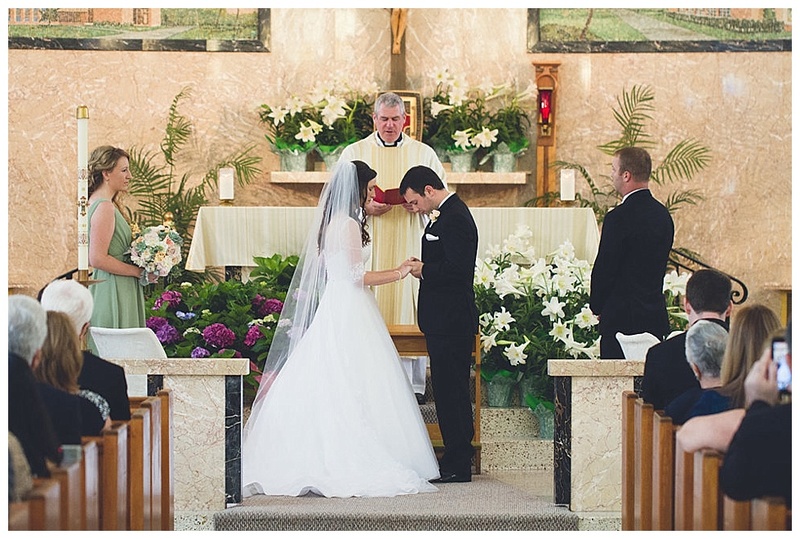 AJ proposed two years later at the Shrine of St. Therese in Royal Oak, Michigan, in the same chapel where Melissa had prayed for her future husband years before. In his prayer book that day, AJ had one prayer card with the Divine Mercy image and another featuring Our Lady of Good Council. Their wedding weekend ended up falling on both the feast of Our Lady of Good Council and Divine Mercy Sunday. 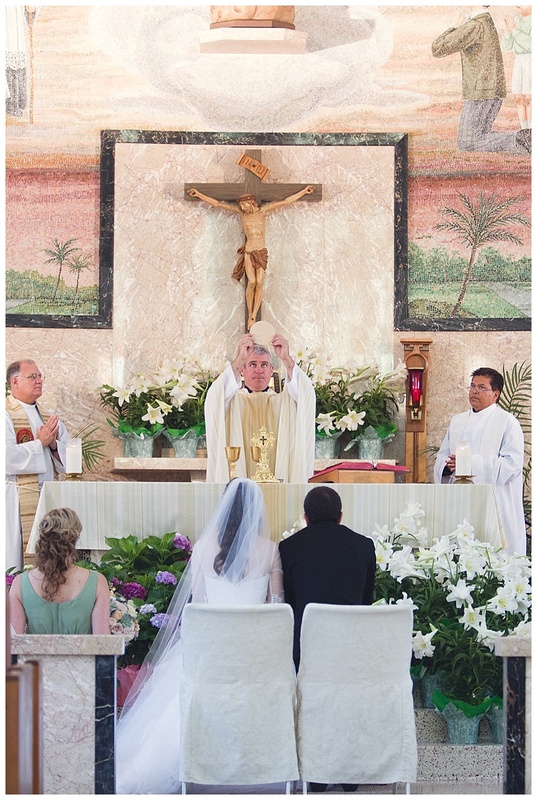 From the photographer: Melissa and AJ's wedding Mass was the most important part of their day. They witness Christ to everyone simply though their love for others. Time stopped as AJ knelt before the Cross to pray before walking down the aisle with his parents. His gorgeous bride soon followed: the church doors swung open and out of the sunlight stepped Melissa, a vision of true beauty, tenderness, and love. 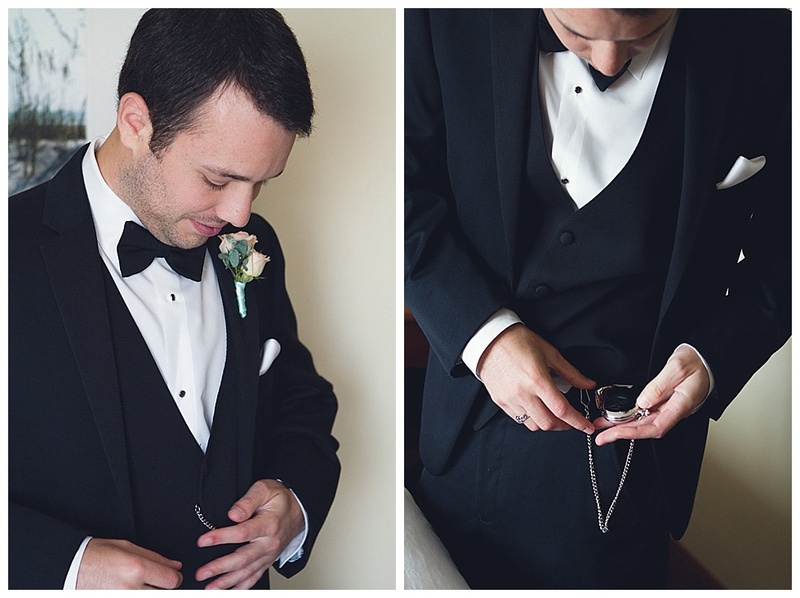 The groom had tears in his eyes as they reached the time and the hour they would seal their love with a kiss. Their reception was so elegant, from the grand ballroom venue decorated with peach and mint florals to the groomsmens' pocket watches to the cigars and scented soaps Melissa and AJ gifted to their guests. And getting married in Florida in the spring meant they were surrounded by blooms!